used to bleach textile, bleaching paper and paper products, etc. 2. Appearance: clear colorless liquid. 3. Use: Hydrogen Peroxide is a strong and environmental friendly oxidizer. Hydrogen Peroxide is used to bleach textile, bleaching paper and paper products, etc. 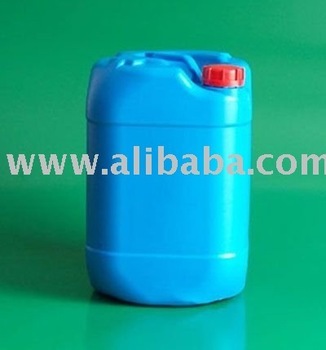 Hydrogen Peroxide is also used for industrial waste treatment (detoxification). 4. Dangerous Class: Hydrogen Peroxide is a strong oxidizer and does not burn, but its decomposition liberate oxygen which supports combustion. Contacts with organical substances or some impurities, reducing agent or combustion materials. Hydrogen Peroxide will decompose rapidly which may cause explosion. Corrosive, cause burns to skin, eyes and respiratory tract. Harmful if swallowed or inhaled. 5. Storage: Store the product in a ventilated and cool place, prevent from direct sunshine, heat and combustible substances. If the package is damaged or there’s any spill, use large quantities of water to flush it. Do not store the product on wood pallets or wood floors.